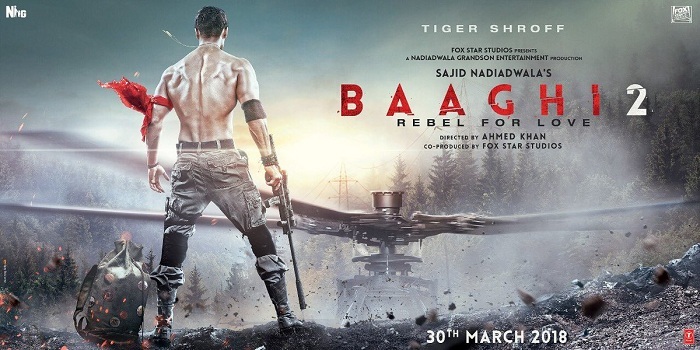 Baaghi 2 preponed to 30 March 2018. Dutt Biopic may get postponed again! Baaghi 2 release date is now pre-poned by nearly one month. Film new release date is 30 March, 2018. Film stars Tiger Shroff and Disha Patani in lead roles. Film is directed by Ahmed Khan and film is produced by Nadiadwala Grandson Entertainment and Fox Star India. With also this latest update, it is more or less confirmed that Dutt Biopic starring Ranbir Kapoor and directed by Rajkumar Hirani might be postponed to new release date. Reason, both Baaghi 2 and Dutt Biopic are associated with Fox Star. So box office clash is simply illogical. We might have an official announcement on that news. It is not the first time Dutt Biopic is postponed. Only hope that new release date will be the final locking date. Haha...plz somebody take him(Khurana) to the mental hospital.